McMaster Competitive Programming (MCP) is a community of passionate individuals dedicated to increasing the technical skills of all McMaster students. Our members are well-versed in competitive computing concepts and represent McMaster University in the world-prestigious International Collegiate Programming Competition (ICPC) every year. Although MCP is officially recognized as a team, most of our effort is focused on providing students the tools and opportunities to develop their technical skills as well as connecting them to numerous companies looking for talented interns. Our most active members have had internships at Google, Microsoft, Intel, and more! 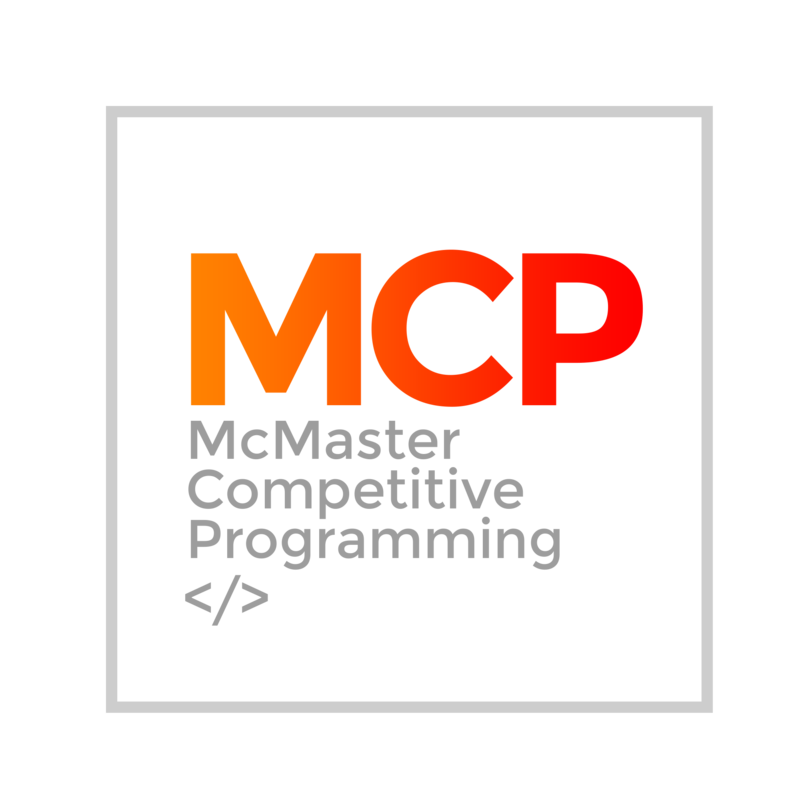 MCP hosts it's ICPC tryout competition at the beginning of October every year, where the top nine students are chosen to represent McMaster at the East Central North America regional competition. If you don't qualify, don't worry! We also host many practices, workshops, and company recruitment competitions that are open to ALL students who enjoy programming - just join our Facebook group to be notified of when we hold these great events!